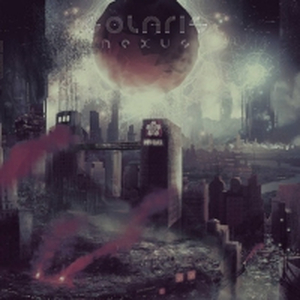 Colaris is an instrumental band from Pirmasens/Germany Recorded at the Rama Studios Mannheim (Ahab, The Tidal Sleep and more), Nexus comes with a natural and rough sound, the gloomy artwork is done by Luca Solomacello (www.solomacello.it). The record will be released on vinyl and CD in association with Revolvermann Records, Narshardaa Records und Wolves and Vibrancy Records. Puzzle Records will take care of a special tape edition. The bands sound can be described as a blend of heavy, driving and melodious parts, as long as some intricate and also catchy passages. Comparisons to well known bands of the genre are up to the listener, all band members have various influences, which makes it hard to reduce it on some names.